Once upon a time, KK and WK played cards. KK never had to fire a shot. I'll never accuse KK of cheating ever again. He's an honest man. I live in Virginia and we have both open carry, no permit needed, and concealed carry, with a permit. Our violent crime rates dropped like a stone when we went from be a "may issue" state to being a "shall issue" one. The only places we ow have to worry about are in "gun free zones." For some odd reason, criminal seem to ignore those "gun free" signs and do what they want in those! I walked into a place that sells these little jewels and, for about what I’d pay for five pounds of Sutliff Virginia Slices, I walked out with one. I haven’t had a .380 for a long time and decided I needed it. It slips easily into my front pocket, shirt or pants. I had a Colt Mustang .380 way back when but sold it when I wanted something else. 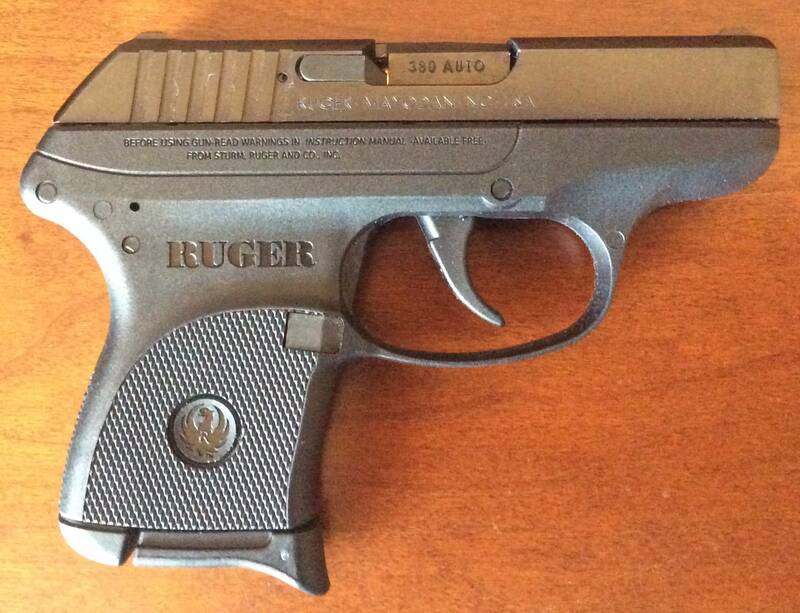 Anyway, it’s a Ruger LCP, .380, 6+1. Duh. Every time I buy five pounds of tobacco or a pistol I’m reminded how glad I am to live in the Good Ol’ USA and not Australia or somewhere! I can't imagine living in a State where you can actually walk around wearing a holster on your hip like a Cowboy. That would never happen in NJ. We are more concerned about recreational weed and sanctuary. We can carry open here in Alabama, but I rarely see it done. I personally think that it makes anyone open carrying an early target. For some reason open carry was never illegal here as there wasn't a law in the books one way or the other. Back in the 80's our AG wrote an opinion that since it wasn't illegal then it must be legal, but still people were occasionally arrested for it. Fast forward a few years and a law was passed putting it in B&W that open carrying was indeed legal. I rarely carry myself, but when I do it's concealed. Here in Tn, you have to have a concealed carry permit to carry at all. But, we can keep a loaded pistol in the glove box... on college campuses too. We also have a really neat law now that states the only places you cannot carry a firearm are places that have the 4” no gun sign posted with the law underneath it at every common entrance. If a place don’t have those, they cannot ask you to leave or remove your sidearm. I was driving through Al to get to Ms. had to open carry in Al, but Ms has constitutional carry. I prefer concealed carry, but living where I do, everyone carries open. The methheads WILL NOT bother anyone who visibly carries a firearm. To the point, I like that little pistol KK. I’d gladly carry it during the summer. I carry 9mm because I shoot it fast and flat, but I also shoot a .380 fast and flat. I was driving through Al to get to Ms. had to open carry in Al. If I'm not too bad wrong we good law abiding folks in AL recognize your TN concealed carry permit. All of this discussion just makes me think, we really NEED national reciprocity on carry permits. Yep, reminds me of the time I drove into New Jersey to visit a friend and remembered I had my pistol in my truck. Turned around and went back to PA before the VOPOs stopped me for something . Si. I dont have my c c permit. I should have said "I was able to carry..." I can't justify getting one right now. I dont know how much longer I'll be in Tn. Agreed. I have my Oregon CC, but since Oregon is a jerk and refuses to honor other state's permits, we have to get a non-resident Utah permit to really travel much.